For over sixty years, tall broadcasting towers have stood high above the old homes in Baltimore’s Woodberry neighborhood. The two tallest towers now standing on Television Hill beam out the signals of four television stations and three radio stations across the city and surrounding area. 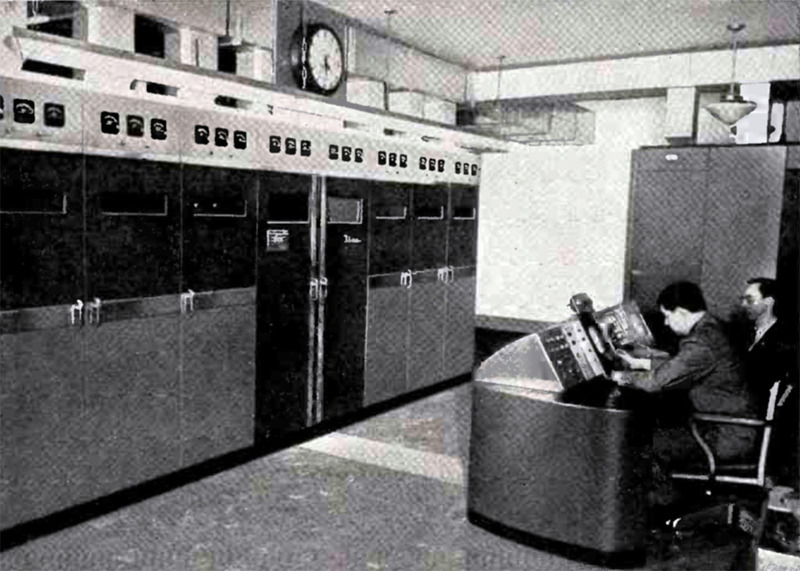 A third smaller tower relays municipal police, fire and rescue personnel communications. Of course, this area wasn’t always called TV Hill. It may be hard to believe but there wasn’t always television. Before test patterns and Saturday morning cartoons, the area was known as Malden Hill. 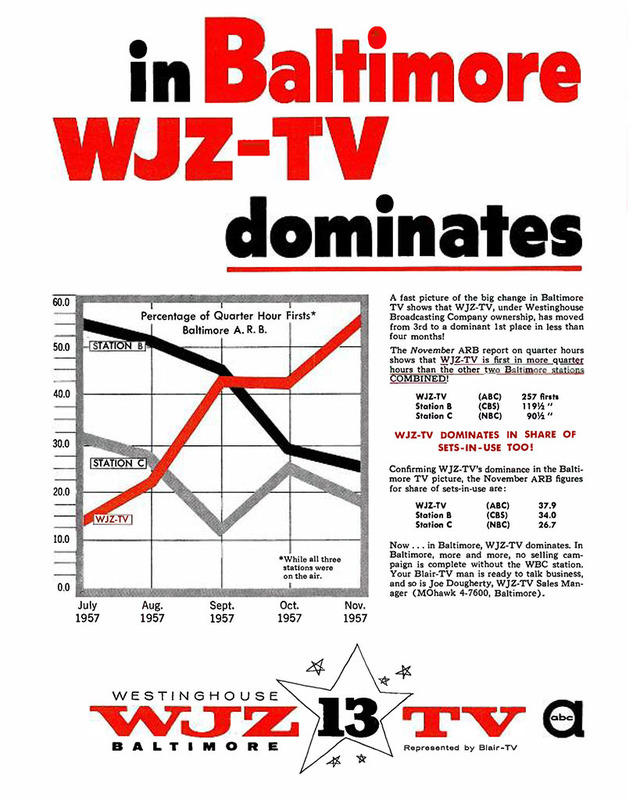 In the summer of 1948, only twenty thousand or so Baltimore families (and only one in ten households in the United States) owned televisions. The first two stations in the city— WMAR-TV and WBAL-TV—offered fuzzy reception at best for most local viewers. 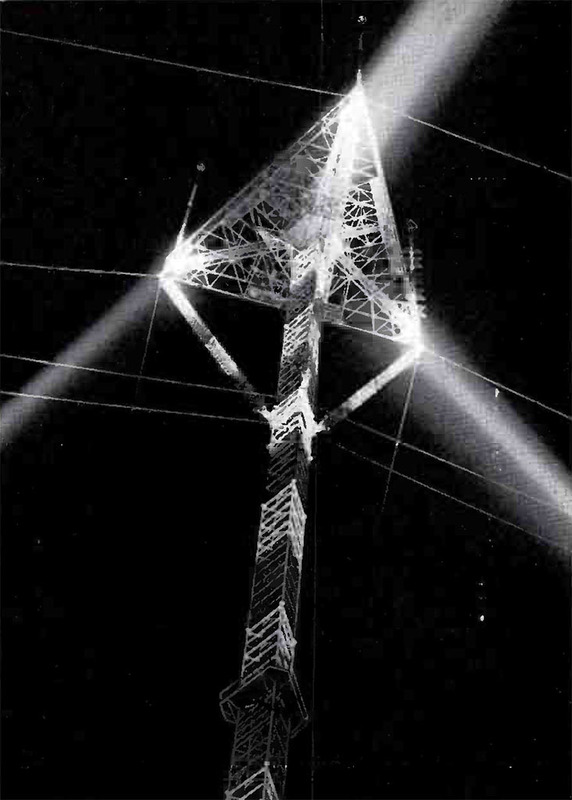 By the end of 1948, however, WAAM–TV (Channel 13), owned by Baltimore businessmen and Brothers Ben and Herman Cohen, had started construction on a new station and new transmission tower. 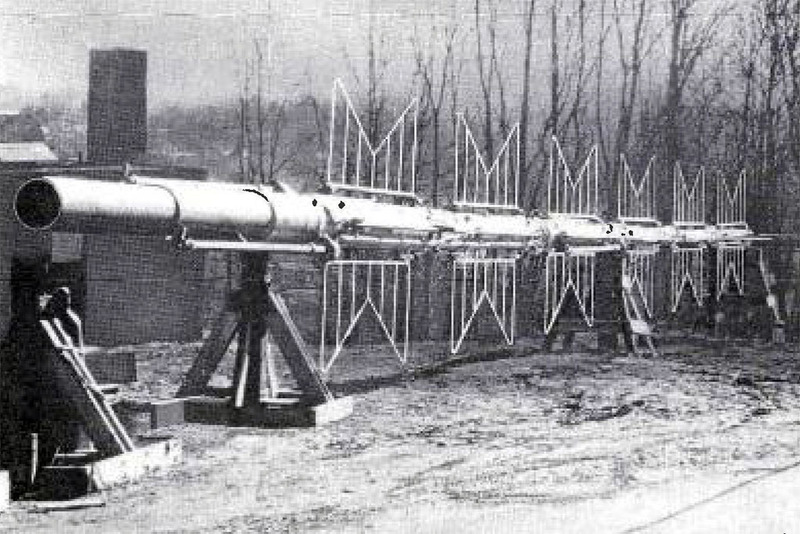 The station picked Malden Hill, 334 feet above the surrounding landscape, to give their signal a better chance of reaching Baltimore televisions. 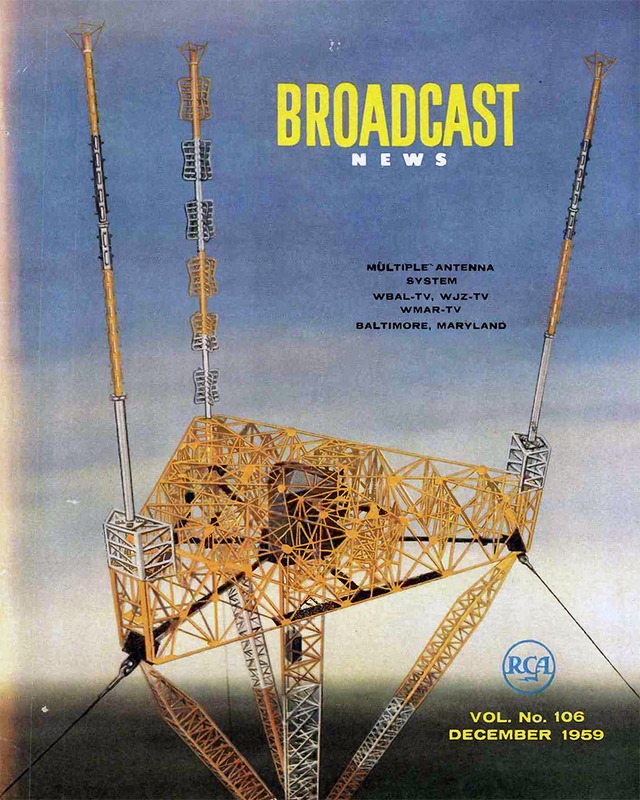 With this advantage, the station's new 530-foot tower stood 864 feet above sea level and WAAM–TV had the first television studio in Baltimore designed specifically for this still new technology. On November 1, 1948, the station went on the air and the next day stayed on the air for twenty-three hours straight covering incumbent Democrat Harry S. Truman surprise win over Republican Thomas E. Dewey in the 1948 presidential election. Flash forward nine years and WAAM-TV had changed both call letters and ownership. 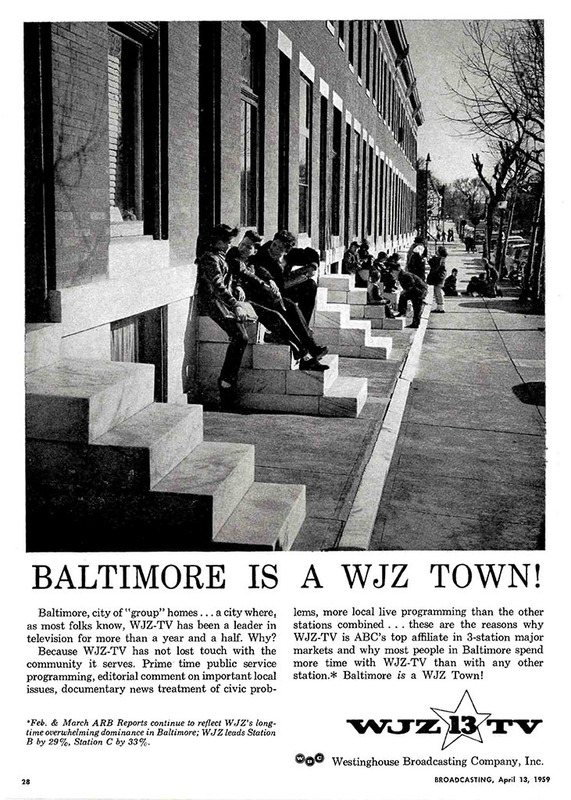 In May 1957, the station sold to Westinghouse Broadcasting Company and was renamed WJZ-TV. 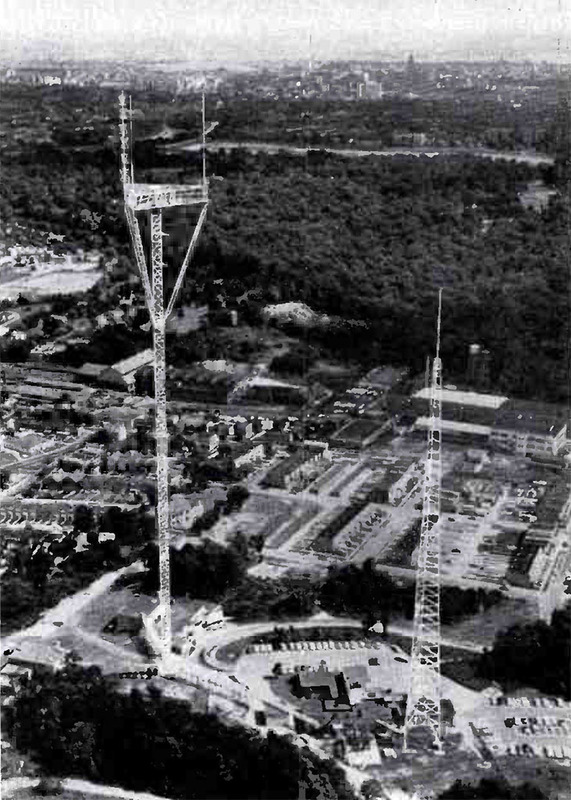 The competing WBAL-TV’s studios and broadcast tower had already relocated to Malden Hill several years earlier. Still, despite being home to two of Baltimore’s three television stations, only a few folks called it TV Hill until 1958 when a new tower began to rise. 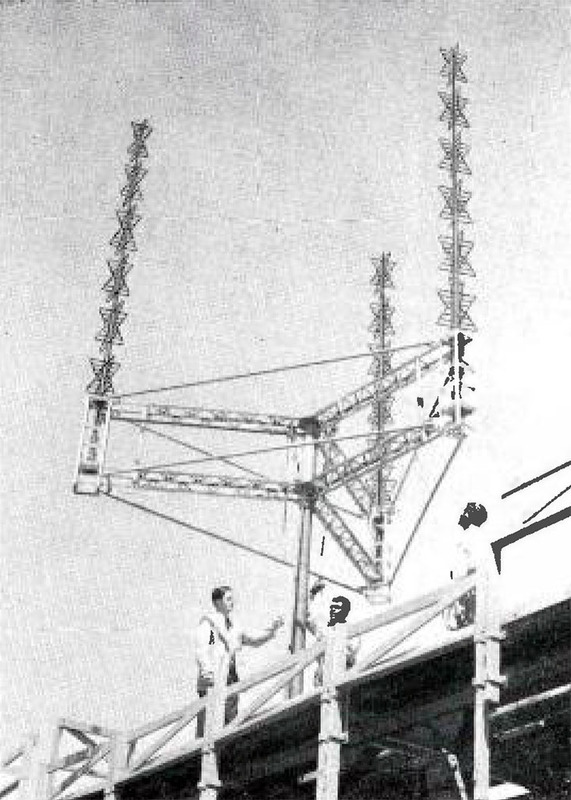 TV reception could be a bit tricky in those pre-cable and satellite days of rooftop antennas or set top “rabbit ears.” WJZ and WBAL chose the elevated ground in Woodberry for their transmitter towers as a partial solution, but broadcast engineers knew that even higher towers could improve both reception and station coverage. Though air traffic concerns imposed an upper limti on how high a station could build, both stations had room to grow. But neither WJZ nor WBAL could afford the expense of a new tower on their own, especially when the stations sought to go as high as the law allowed. The solution was a partnership between the neighboring stations to build one gigantic tower topped with two separate transmitter masts. 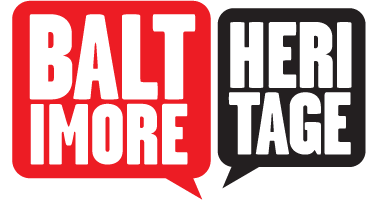 When Baltimore’s oldest TV station, WMAR, heard of this plan, station managers decided they wanted in. WMAR worried that if viewers could get two stations by pointing their antennas in one direction they wouldn’t bother making adjustments to tune in to WMAR—especially if their broadcast looked worse than the competition coming from the new tower. Baltimore’s three TV stations struck a unique deal to share one gigantic tower, a tower topped with three separate transmitter masts, a first at the time. The stations would all have improved coverage and picture quality at a cost they couldn’t have borne alone. Baltimore area television viewers could take a “set it and forget it” approach to their antennas. 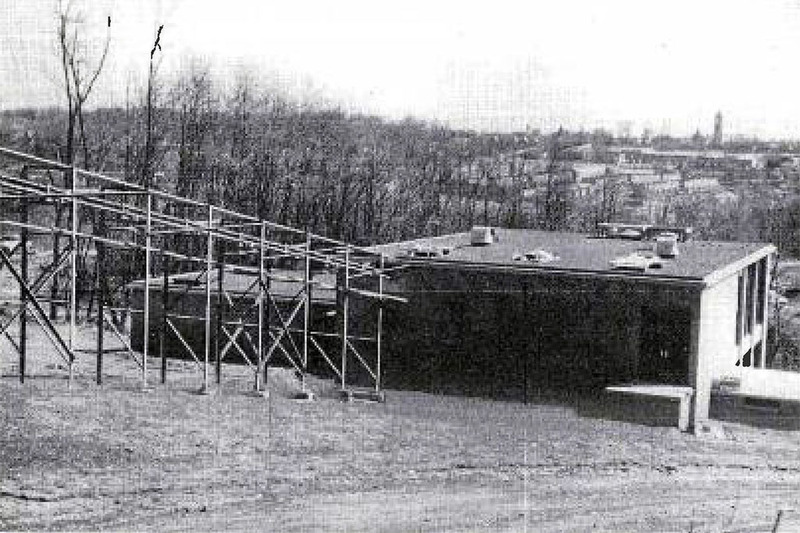 Construction began in October of 1958 and continued through the spring. In 1997, Fred Rasmussen recalled on the history of the tower for the Baltimore Sun describing the 500 tons of nickel-chrome alloy steel used to build a structure covered with 2 1/2 tons of paint. The tower was stabilized by guy-wires made from three miles of steel wire rope anchored by 33-foot square concrete slabs buried 16 feet deep. Together the tower base and cable anchors required a remarkable 2,250 tons of concrete. Finally, in a ceremony on August 9, 1959, Governor J. Millard Tawes joined station managers to throw the switch and turn on the broadcast. 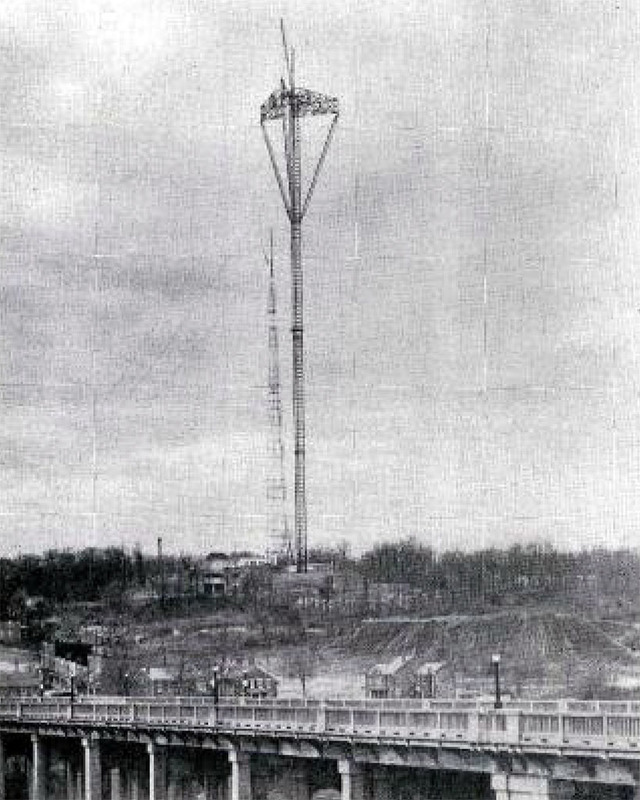 At the time of its completion, the giant $1.125 million “candelabra tower” on what was then known to everyeone as TV Hill, was the tallest free-standing broadcast tower in the United States. A 270-foot addition in 1964 brought the top to 1315 feet above sea level. Today, however, the tower isn’t even the tallest in the neighborhood. A second tower completed on a nearby hill in 1987 by Cunningham Communications holds that honor, at 1,549 feet above sea level. The newer tower is a single mast structure, and though both hills and the three towers they support are now collectively known as TV Hill, there’s still only one candelabra tower. Chuck Howell, “TV Hill,” Explore Baltimore Heritage, accessed April 23, 2019, https://explore.baltimoreheritage.org/items/show/666. Chuck Howell, "Liberace’s Wasn’t the Only Famous Television Candelabra." MARMIA, January 2, 2019. Fred Rasmussen, "Remember When: A tower of power rose up above city Structure: The candelabra-like transmission tower atop Television Hill was completed in 1959, improving TV reception for thousands." The Baltimore Sun, September 21, 1997. Published on Jan 3, 2019. Last updated on Jan 18, 2019.